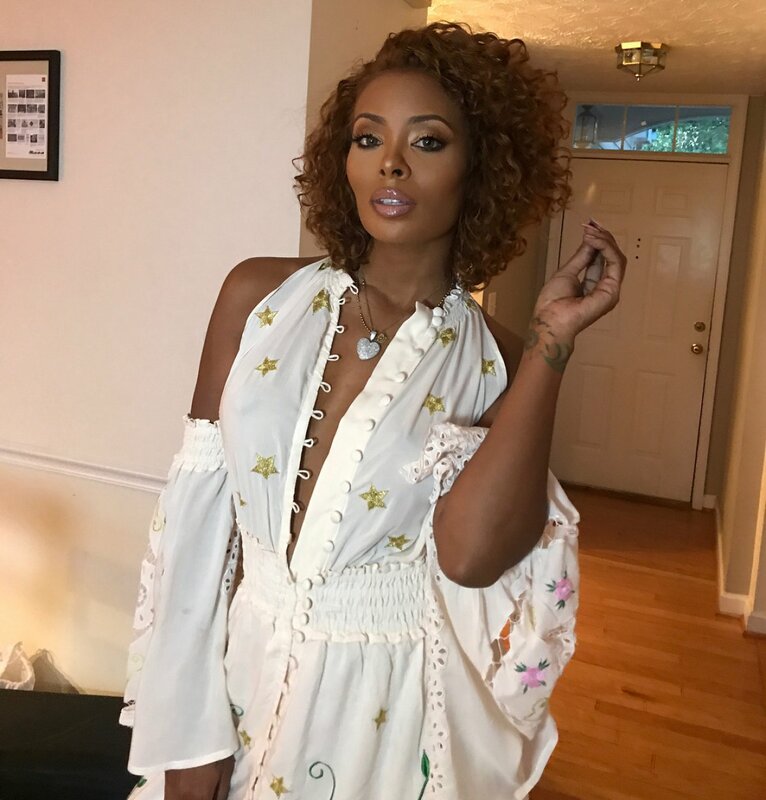 Eva Marcille, a former winner of America's Next Top Model, is joining the Season 10 cast of The Real Housewives of Atlanta. "I'm so excited to join [NeNe Leakes] and the ladies for the 10th season of RHOA," the 32-year-old model and actress told Us Weekly. "Atlanta and America, get ready!" Eva will be starring on the Bravo reality series alongside Kenya Moore, Cynthia Bailey, Kandi Burruss, Sheree Whitfield, and Porsha Williams. In addition to NeNe, Kim Zolciak-Biermann's return was also announced this past summer. Eva was crowned the winner of Season 3 of America's Next Top Model in 2004. She then launched her acting career, appearing as Tyra Hamilton on The Young and the Restless from 2008 to 2009 as well as the movies Crossover, I Think I Love My Wife and Sister Code. The model also has a three-year-old daughter named Marley Rae with her ex-boyfriend Kevin McCall, from whom she split in early 2015. According to production sources, Eva reportedly already filmed scenes of The Real Housewives of Atlanta about a week ago at an event for Kandi Burruss. "Eva's able to throw shade with the best of them but can also put on a smile for the ladies when she needs to," TMZ reported. A recent trailer for The Real Housewives of Atlanta's upcoming season teases Kenya's secret wedding to businessman Marc Daly, Cynthia and Sheree dating new men, Kandi's reunion with her Xscape bandmates, and Porsha's lifestyle as a "baby vegan." Nene, 49, is making her comeback on the Bravo show after leaving back in Season 7. Meanwhile, 39-year-old Kim departed The Real Housewives in the middle of Season 5. "I am back, and of course the haters still know I'm here," NeNe says in The Real Housewives trailer. The Real Housewives of Atlanta is set to premiere its tenth season Sunday, November 5 at 8PM ET/PT on Bravo.